Learn about Natto traditional and original recipes in this focus page. 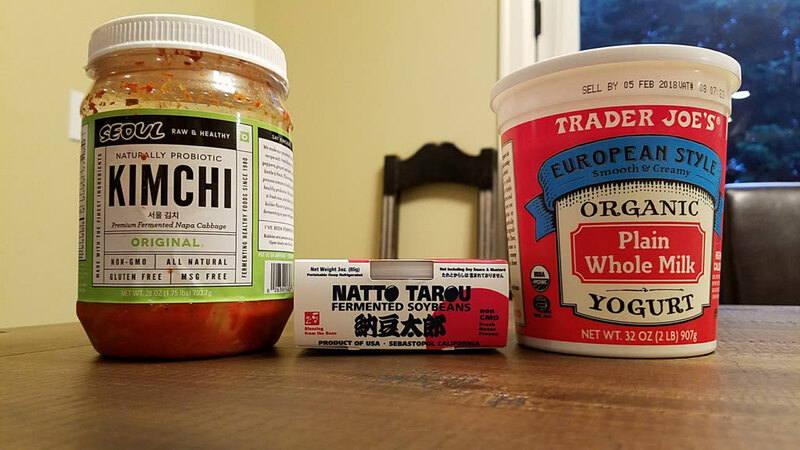 Natto is one of the most nutritious foods available, a staple ingredient of Japanese cuisine, and wonderful addition to many dishes. One of the best ways to make natto taste good is by combining it with flavors from French cuisine. Find out how. This recipe is a collection of 4 natural probiotics you can have for breakfast, as a snack or for a light lunch or dinner. It includes natto, the Japanese staple food full of nutrients, kimchi, the famous Korean cabbage preparation, and dairy in the form of yogurt or cheese. 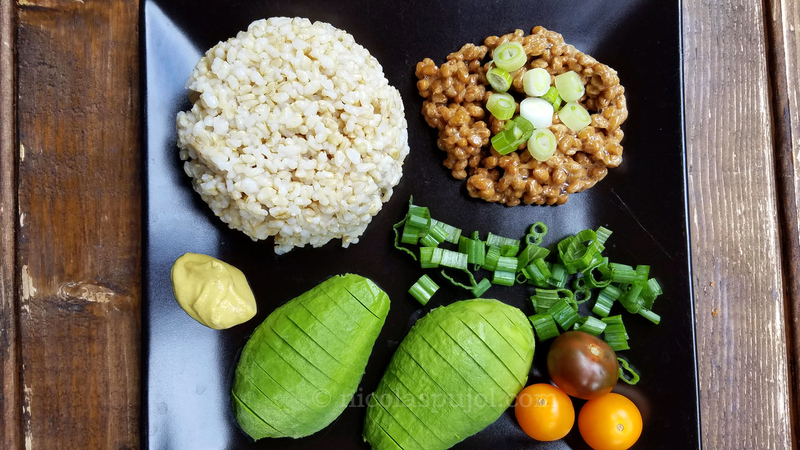 This natto, brown rice and avocado recipe delivers a tasty vegan meal using wholesome ingredients, low-sodium soy sauce, French mustard and olive oil. 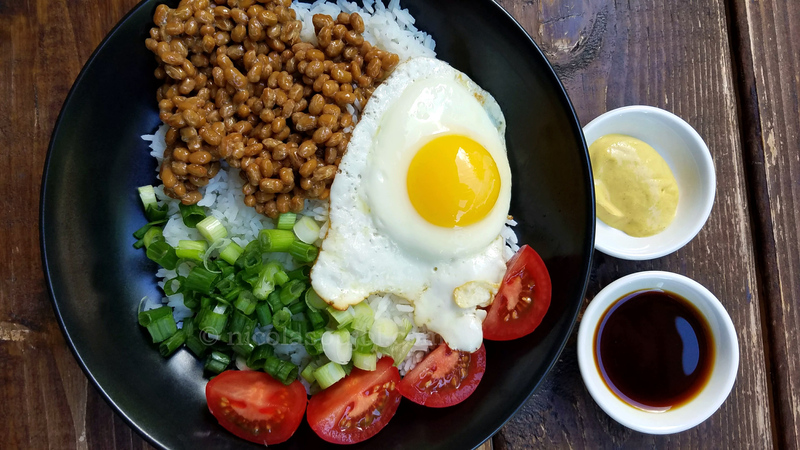 The Japanese French natto fusion dish combines traditional natto, green onions, rice, and uses French mustard, tomato, a fried egg in butter, and olive oil.